Whether you’re still balancing a 9-5 day job while you grow your freelance writing business into a successful side hustle or you’ve quit your job to freelance full-time, you’re well on your way to building a life you love! 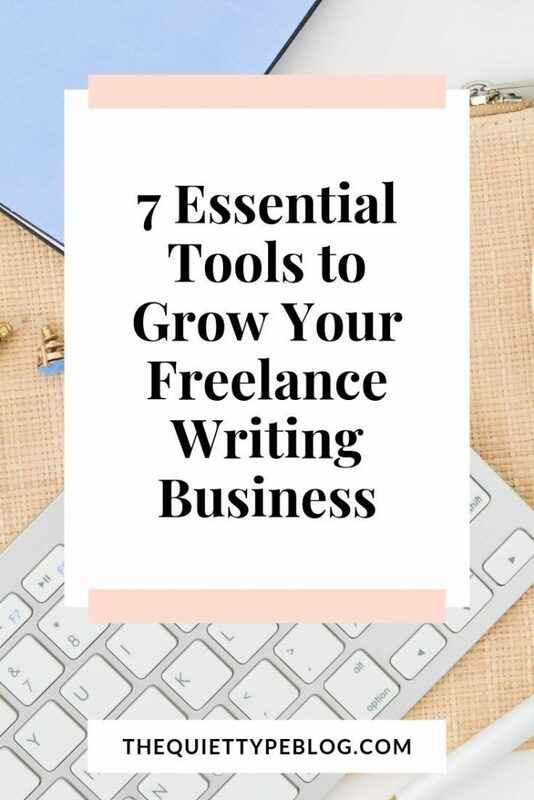 Still, there are a few essential tools that can help you build a successful freelance business, especially as a freelance writer. 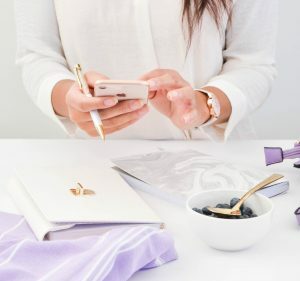 Each of these things has come in handy as I’ve grown my business from a part-time side hustle into a full-fledged business in just a little over a year. 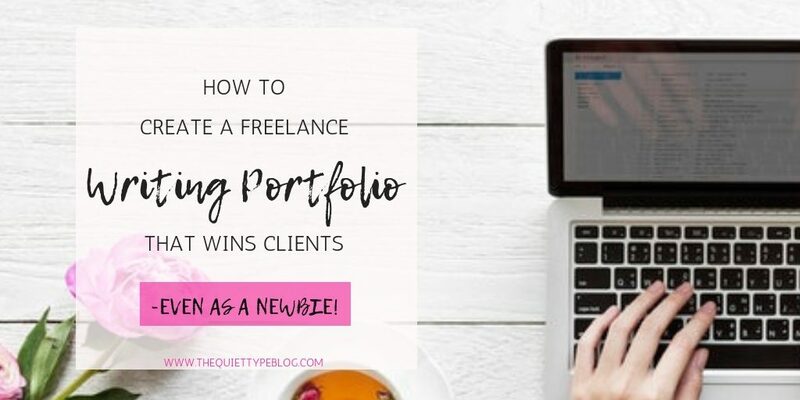 A writer’s website and portfolio are going to be one of the MOST important things you can have for your freelance writing business. Your website is your biggest marketing tool when you’re cold-emailing and applying for writing jobs for job boards, so you need to make it count. Despite being a writer, I struggled writing my own copy for my website the first time around. It was bland and lacked any semblance of my personality. Don’t make that mistake! It’s totally okay to let your personality shine through when it comes to your website. Yes, you still want to maintain a professional vibe and sound like you know what you’re talking about, but it’s okay to have fun with it. Originally, I used Wix to build my writer’s website and portfolio. After the first year of my hosting plan was up though, I switched to SiteGround which I’ve been loving. Interested in checking out SiteGround? With my link, you can get web hosting for just $3.95 per month + a free domain name (a $15 value). Ready to create your writer’s website and portfolio? I wrote a guide showing the complete steps from start to finish to help you get started. Click here to check it out! 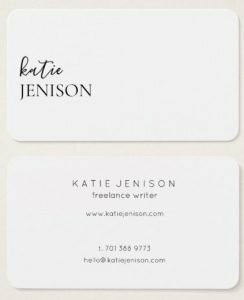 Business cards are going to be AH-MAZING for your new freelance writing business! You can hand them out at networking events, give some to people you know, or include them in an information packet. Plus, they make you look professional! In addition to my drive to hustle and grow my business, I’ve been really lucky to be surrounded by a supportive crowd. One of my best friends growing up is a networking goddess and she seems to know EVERYONE. She was actually the one to encourage me to move forward with my business (thanks Beth!) and she requested a whole stack of my cards to hand out to people she knows and networks with. Thanks to her, making connections with potential clients has been super easy. When I created my first set of business cards, I was SO excited! I felt like the real deal and I even said so in my first ever “biz” post on Instagram. Once I upgraded my website with a domain name and business email though, I had to redo them. It turned out to be a blessing in disguise because I love my new ones even more than the first. Check them out! I made my first business cards using Vistaprint (hello, affordable options!) but I used Zazzle to create these bad boys! They have so many designs to choose from and they’re totally customizable! AND Zazzle is just as affordable as Vistaprint! When you set up the domain and website for your writer’s website and online portfolio, you have the option of getting a business email tied to your domain. That’s a great option and one I totally recommend. However, you can also set up a business email using free services like Gmail or Outlook. You definitely want to make it obvious it’s a business email though; As in no jbeibs4eva@gmail.com! I have a business email tied to my domain which I use for my business cards as well as on my website. However, I typically use my Gmail once I start working with clients. The type of social media you use to market yourself as a freelance writer is completely up to you. 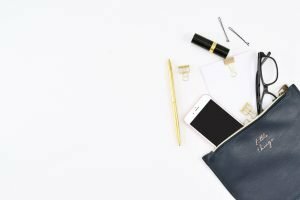 I personally use Facebook and Instagram for my freelance writing business. I also use Facebook and Pinterest to market this blog. They seem to be working for me! One of the most important things to keep in mind when it comes to social media is that you don’t have to be on every platform. 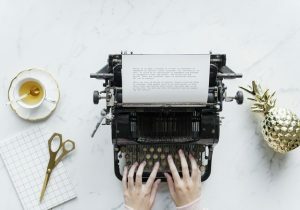 By focusing on just one or two that you are comfortable with, you’re able to market your writing and business in a way that doesn’t leave you feeling strung out and stretched too thin. Less is more in this case! You can determine where you’re getting your most traffic from using analytics tools. Business accounts on social media generally offer some sort of “insights” tool. I also recommend signing up for a Google Analytics account and installing the plugin on your website. With those tools, you’ll be able to see which platforms are bringing in the most traffic and make adjustments as need. If you’ve found your spending too much time using one platform with little result, it’s time to move on! Facebook is also a great tool for networking with other writers. When I started, I joined so many Facebook groups for writers just to learn as much as could. Not all of the groups were top notch, though. Since I started freelance writing, I’ve joined and left groups pretty regularly if they don’t provide much value. New to LinkedIn or want to build your connections? Connect with me! When you start a business, it’s a no brainer that you need to keep track of money that’s coming in an out. One of the easiest ways to do that is to using accounting software. As a freelance writer, it’s likely you won’t have a lot of upfront costs or overhead expenses but you should still keep track of mileage, costs for meetings (like if you meet over coffee) and other expenses so you know where you’re money is going. I’ve used a few different methods including an Excel spreadsheet and even the free trial of QuickBooks. In the end, I’ve found a program I really like and the best part? It’s FREE! WaveApps has everything I need to track my expenses and send invoices to clients. My clients are even able to pay with a card just by clicking the link on the invoice! Cool right? Want more information about using WaveApps for your accounting software? Check out this blog post. When you’re just starting out as a freelance writer, it can be super overwhelming trying to figure everything out. One thing that really helped me was having a collection of resources to use as a guide. You can read more about why I love them here! 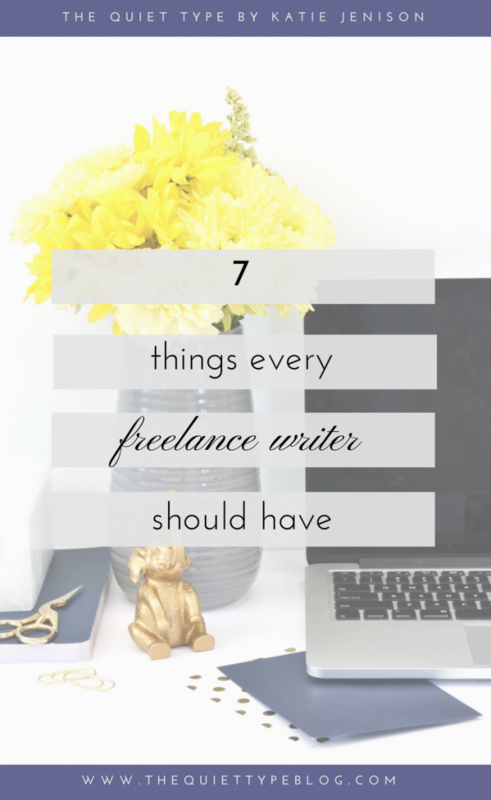 Those are the 7 things I recommend every freelance writer have in their arsenal. Do you have something to add? Feel free to send an email my way or leave a comment down below! very useful article!!! it seems so obvious, but sometimes we do for others what we neglect for ourselves! thanks so much! Amazing tips. Really didnt think of it much before, but yes those are bare essentials. Very helpful for someone starting up. I’m glad you found them helpful! I’ve found these things get overlooked while trying to get up and running but they’ve been super helpful for me! Love these tips! Thank you so much! Saving for later! Amazing tips girl! Thank you for making it so simple an clear! Katie, I love this post! It’s incredible how many people think they don’t need a website. And, well, I guess they really don’t NEED one but it plays such a key role in finding clients, helping clients find you, showing you’re a professional, and having a place where clients can learn everything about you – from your brand to your style, your fees to your services. I have to be 100% honest, though I own business cards I really don’t use them often. I don’t get to in-person events very often. I love the simplicity of yours, though. And I’m completely guilty of not doing the whole business email thing. *insert shocked face here* I have found it far too difficult to get that email to connect to my outlook app, etc. even when I do all the things you’re supposed to do to make it work, lol. Any tips? Thank you, I’m glad you liked it! I totally agree, a website is such an important factor for any business. As far as business cards, I’ve noticed I’m not using them as much as I used to since I moved to a new city and started freelancing full time. I do still hand them out occasionally and include them in welcome packets, though. Maybe that’s a sign I should start networking more? 😉 I still think they’re valuable to have though because you never know who you may run into or who may ask for a business card to pass along to an acquaintance.